With the release of ‘Wind‘ the two filmmakers Jonas Bang and Søren Rye have completed their series of videos for the entire ‘Leaves – The Colour of Falling‘ opera album by Efterklang & Karsten Fundal. The films feature Ursula Andkjær Olsen‘s lyrics for ‘Leaves’ illustrated by Fie Lindholm. The videos were all filmed in the nuclear basement where ‘Leaves – The Colour of Falling’ had its premiere during Copenhagen Opera Festival in the Summer of 2015. The scenography of Marie Rosendahl Chemnitz is featured in the videos and credit is also due to Christian Lollike who directed the Copenhagen Opera Festival performances. The videos are made with support from The Danish Arts Council and with support from DJBFA and Koda’s Cultural Funds. 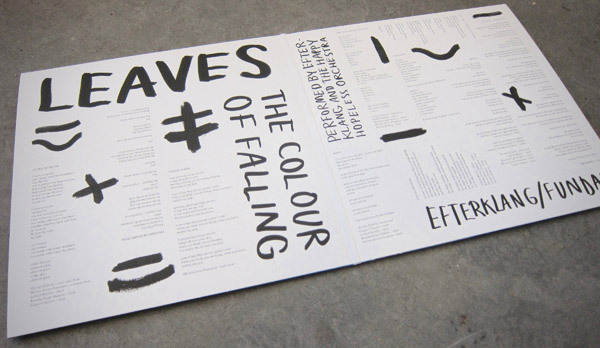 ‘LEAVES – the Colour of Falling’ is composed by Karsten Fundal and Efterklang with lyrics by Ursula Andkjær Olsen. Scenography and costumes by Marie Rosendahl Chemnitz. Made with support from The Danish Arts Council and with support from DJBFA and Koda’s Cultural Funds. Both songs feature the Danish counter tenor Morten Grove Frandsen on vocals. We love his voice (and him)! ‘NO LONGER ME’ is sung by the legendary soprano Lisbeth Balslev who also stars in the video. The lyrics are written by Ursula Andkjær Olsen. 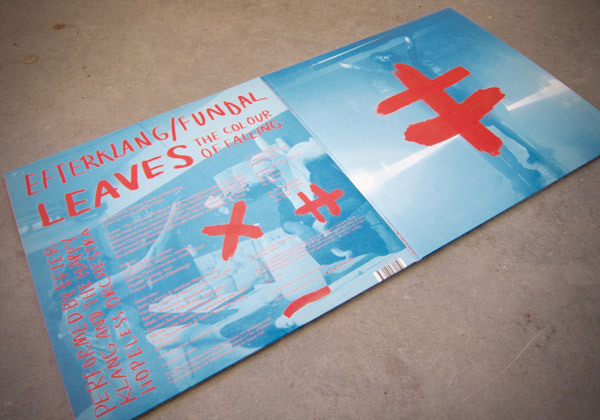 ‘LEAVES – the Colour of Falling’ is composed by Karsten Fundal and Efterklang. ‘Abyss’ is sung by bass singer Nicolai Elsberg. The lyrics are written by Ursula Andkjær Olsen. New Opera Album Out Today! The opera is composed by Efterklang & Karsten Fundal and features lyrics by Ursula Andkjær Olsen. You can stream the album on Spotify. You can download on iTunes. You can buy the CD and vinyl here: Norman records, Resident, Saturn (DE), Platomania (NL) or directly via The label Tambourhinoceros. FOR MORE INFO ABOUT THIS RECORD PLEASE SEE THIS POST. Another track from the upcoming release by Efterklang / Fundal has been revealed. Dark and beautiful stuff. Performed by Efterklang & The Happy Hopeless Orchestra with vocal by Katinka Fogh Vindelev who also stars in the video. November 4th sees the release of our opera album ‘LEAVES – The Colour of Falling’. You can pre-order and get more info about the album here. In February and March we will perform the album at special 8 concerts in Copenhagen, Uppsala, Eindhoven, Groningen, Rotterdam, Amsterdam, London and Barbican. Info about the upcoming tour available here. ‘LEAVES – the Colour of Falling’ to be released soon! November 4th ‘LEAVES – The Colour of Falling’ will be released on vinyl, CD, download and stream on Tambourhinoceros. The opera album is performed by Efterklang & The Happy Hopeless Orchestra and features compositions by Efterklang and Karsten Fundal with lyrics (in English) by Ursula Andkjær Olsen. 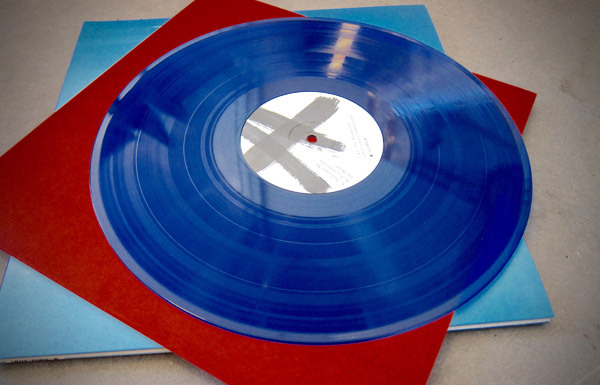 The deluxe vinyl limited to 1200 copies has already arrived. We suggest to pre-order here to be sure to get a hold of one. In February and March 2017 EFTERKLANG & THE HAPPY HOPELESS ORCHESTRA will perform ‘LEAVES – The Colour of Falling’ live at 8 concerts in Copenhagen, Uppsala, Eindhoven, Groningen, Rotterdam, Amsterdam, London and Brussels. Please check here for more info and to buy tickets. We are excited to share another song from the forthcoming opera album! ALBUM RELEASE November 4th 2016 on Tambourhinoceros. Available as deluxe limited double-vinyl, CD and digital – pre-order now. Watch a new film for the first single ‘Cities of Glass’ by Jonas Bang, Søren Rye and Fie Lindholm. For more info about the opera please see this news post from June 13th 2016. Liima (the band we share with Tatu Rönkkö) has just premiered a new video for the song Russians of our debut album ‘ii‘. The video is nicely timed with the Olympics in Rio starting tomorrow! Liima will be touring European Summer Festivals in August and in September they will go on a Danish and a North American tour. Tour dates and more here: www.liima.net. The song Russians started with the find of an unnamed sample that turned out to be the opening song for the Olympics in Moscow in 1980. Find more details below the video. If this YouTube video is blocked in your country go here or here. Liima have presented a short film for the song ‘Russians’, which blur the lines between music video and documentary as it tells the controversial story of the 1980 Olympic Games where more than sixty nations boycotted the Moscow event citing political protest. ‘Russians’ was inspired by an orchestral record found entirely by chance. Awed by the music on this nameless album, Liima decided to sample the track’s horn section and build a song around it. It was only later they discovered the orchestral piece was written by the legendary Russian composer Aleksandra Pakhmutova who had created it for the 1980 Moscow Olympic Games opening ceremony. Directed by Danish filmmaking duo Jonas Bang and M.I.L.K, the pair tracked down one of the athletes who was affected by the 1980 boycott, retired West German javelin thrower Michael Wessing. A gold medal favourite, his story is central to ‘Russians’ where he talks frankly about the protest and its lasting effect on his life, which ultimately led to him giving up his career and Olympic dream. ‘Russians’ is taken from Liima’s debut album ii, out now. Liima is the Nordic quartet formed by Finnish percussionist Tatu Rönkkö plus Mads Brauer, Casper Clausen and Rasmus Stolberg of Danish act Efterklang. “With Efterklang we worked for years on an album and were rarely satisfied,” say the band. “In Liima it’s all about the spontaneous creation of music. Every now and then we just meet in a city, experiment for a week and present the final results by playing a concert – without any form of editing. Our debut album is based on these experiments.”. The video was made in collaboration with prxjects, a culture lab by Mercedes-Benz.